What made the experience of listening to The School Inspector Calls! the most enjoyable? The authors love of his characters brought depth to an otherwise very simple tale of every day village life. What was one of the most memorable moments of The School Inspector Calls!? The relationship between the head teacher and her brightess pupil is beautifully written. 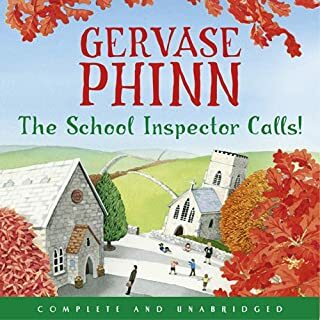 What does Gervase Phinn bring to the story that you wouldn’t experience if you had only read the book? As with any conversation based text the reader brings the characters to life in a way reading can never quite capture. Gervase does a wonderful job here.